By presenting several Bi-silque brands in one stand, we were able to present several segmented office solutions, for different types of businesses and markets with specific different needs. Besides creating different environments where visitors could get to know our products in its most common applications and versions, we provided also some alternative fun uses like whiteboard golf to entertain our audience. This year we took sustainability topic way beyond the presentation of our Earth range, reducing the number of printed catalogues and promoting our digital product showcases, as well as our commitment to implement throughout this year a series of environmental and socially responsible initiatives. ARCHYI. Solutions Selected by bora.herke.palmisano Style Agency for the exhibition known for introducing innovative solutions for the workplace of tomorrow and trailblazing life-style trends for school, ‘the visionary office’ and for stationery. The Mobile Angolo, the Free Standing Sculpo and the Ripple Cork were the selected products for the office trends “urban + pristine” and “tinted + flexible”, and as expected, this brought many curious visitors to our stand . 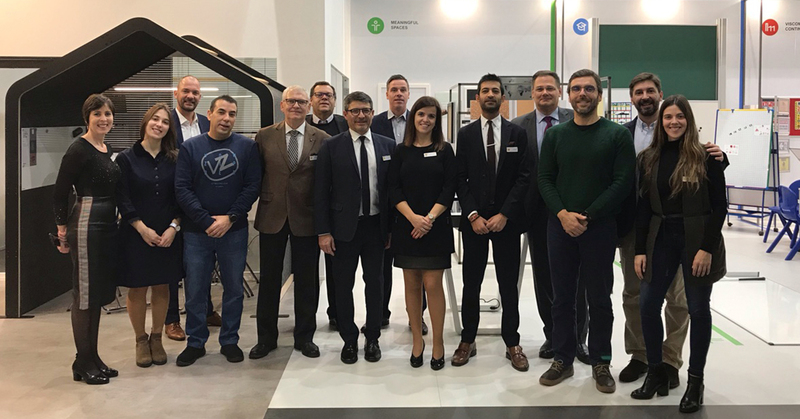 This year, Bi-silque’s participation at Paperworld Frankfurt was marked by the beginning of our 40th-Anniversary Celebrations. So we prepared a big anniversary party, that took place on Monday (January 28th), to celebrate with our visitors. Joining together a lot of friends, customers and media partners, we all had a great time sharing many stories that happen in these last 40 years. A big and meaningful THANK YOU to our great team, and of course, to all that took some time to pass by our stand and make all our work worthwhile. To know more details about all that went down at Paperworld Frankfurt 2019 read our articles in Bi-silque and ARCHYI. 's Blogs. 2019 Bi-silque. All rights reserved.